If you are one of the lucky New Yorkers with a rent stabilized apartment, this could be another monumental year for you. 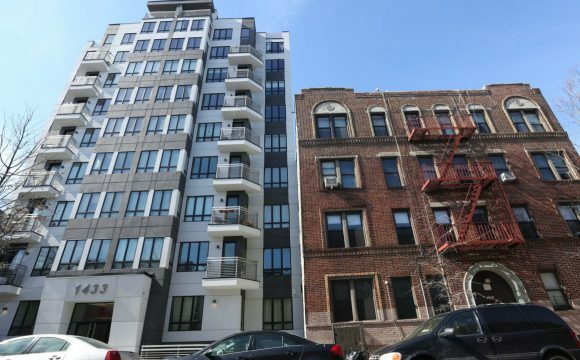 Rent stabilized apartments and their tenants could see another rent freeze this year after a vote on Tuesday, May 3rd, by Members of the city’s Rent Guidelines Board (RGB). The board voted 5 to 4 to consider a 0 percent to 2 percent increase on one-year leases — and 0.5 percent to 3.5 percent on two-year leases — when it sets its annual rent guidelines this summer for the approximately one million stabilized apartments in the city. The range is the same as last year, which led to the first rent freeze in the board’s history for one-year leases and a historically low increase of 2 percent on two-year leases. Landlord representative J. Scott Walsh of Forest City Ratner comments “These increase levels are unsustainable and will paint the board into a corner later on for huge increases”. The median rent for all rent stabilized apartments (approximately 1,000,000 apartments) is a $1,090 per month. A 2 percent increase implies a monthly increase of less than $22 per month. This was only a preliminary steps and the final decision will be made June 27. The final decision is anyone’s call but the board, comprised of both tenants, landlord and members of the public, normally stays within the proposed range of possibilities in the final vote. Available rental housing in New York falls into three main categories: market-rate housing, rent regulated housing, and subsidized housing. Rents and lease renewals in market rate housing are matters to be negotiated between the landlord and tenant (in other words, the landlord can charge the renter whatever they want). With rent regulated housing, rent adjustments and lease renewals are regulated by law. In subsidized housing, rents may be directly or indirectly supplemented by various government programs and terms of occupancy are regulated by law. Approximately 1 million apartments are subject to rent stabilization in NYC. Each year, the NYC RGB establishes the lease guidelines for rent stabilized apartments and hotels. Rent-Regulated Housing includes both “rent controlled” and “rent stabilized” apartments. New renters need not concern themselves with rent control since rent controlled apartments either “go to market” or fall under rent stabilization upon vacancy. Thus, there is no such thing as a vacant rent controlled apartment. new rent must be below $2,500 per month. How can I check if my apartment/building is Rent Stabilized? Please note that all the information on the DHCR history is self-reported by the landlord (i.e. just because it’s on there, doesn’t make it true). If you have any reason to believe your apartment should be subject to rent stabilization and you were not given that information at lease signing, you should review the DHCR report and speak with your landlord about the DHCR report. If no progress is made, the next step would be to engage legal counsel to review the DHCR history. Have had a rent of less than $2,000, if a tenant initially moved into the apartment between 1993 and June 23, 2011. The Renter has had a rent of less than $2,500, if a tenant initially moved into the apartment between June 24, 2011 and June 14, 2015. Have had a rent of less than $2,700, if a tenant initially moved into the apartment since June 15, 2015.